Prolok Design & Build Ltd. has been making landscaping dreams come true for Ottawa-Carleton clients for 33 years. 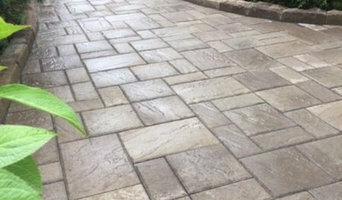 What elevated Prolok to prominence in the paving stone business? Attention to detail — from imaginative concepts and superior materials, to personal oversight of every project by Prolok's Director, Giorgio Maiolo. The collective landscaping knowledge of the Prolok team enable us to surpass client expectation. Projects are based on a collaborative approach from start to finish. We guarantee our workmanship — and your absolute satisfaction. Blackforest Contractor Inc. is a family-owned and run business that has been proudly serving the Ottawa- Carleton area since 1988. The owner, Stephan Vonhone has over 30 years in the landscape/construction industry and Blackforest is a proud member of the Better Business Bureau. Blackforest offers a complete design/build service for all your residential projects; services include consulting, planning, drafting, engineering and architectural services and permit applications right thru to the implementation and completion of your project. We pride ourselves in continually striving for excellence and by providing our clients with on-time completion. We also offer a 5 year warranty on our workmanship and provide an after sales service that is second to none. Blackforest is always looking for new products and related innovations to provide it’s customers with options and quality results. We have been the proud sponsors of many local youth and sporting organizations over the years! We believe in being a part of your community! Total Landscaping has 16 years of industry experience, and has been in business for five years. 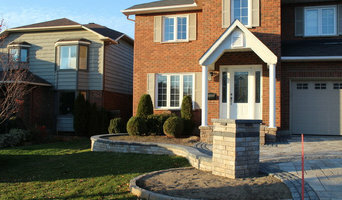 Total Landscaping provides all landscaping services, with a specialization in interlock design and installation.